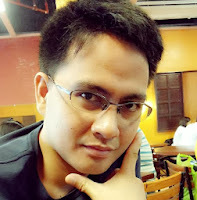 As an Author of blog on Blogger, we all need to add search box widget that can be used to search our blog contents. Most of our old useful blog post cannot be easily accessed on our blog home page, so adding search box will surely help our blog visitors to search our blog contents which will increase reader's engagements in our blog. Search results appear inline, so your users don't have to leave your blog. 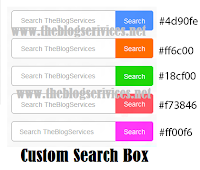 On this article I will be discussing about the codes you need for adding customized search box for you blog. Custom Search Box enables anyone to create a tuned search experience that's contextually relevant. It benefited all website owners and bloggers, blogging platforms typically provide in-built search tools that allow searching across published blog posts, or across tags and categories. With Custom Search, you can go one step further: you can define a search experience that evolves over time, and includes not just your blog posts, but links extracted from those posts, as well as links from your blog's link lists and blog lists - in short, all items of interest related to your blog. Thanks for this info! I have to correct mine so I will be using this :) Thanks again! 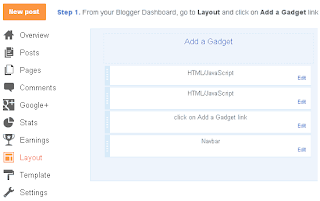 Thanks for this, I love learning new tools for my blog! I am still working on my blog layout and tools. Since I am fairly new I am still learning and constantly looking for ways to improve. Thank you for sharing! This is very helpful. I'm always trying to learn something new to make my job blogging easier. That's a great info!!! I will add search box in Wood Arts Universe blog..